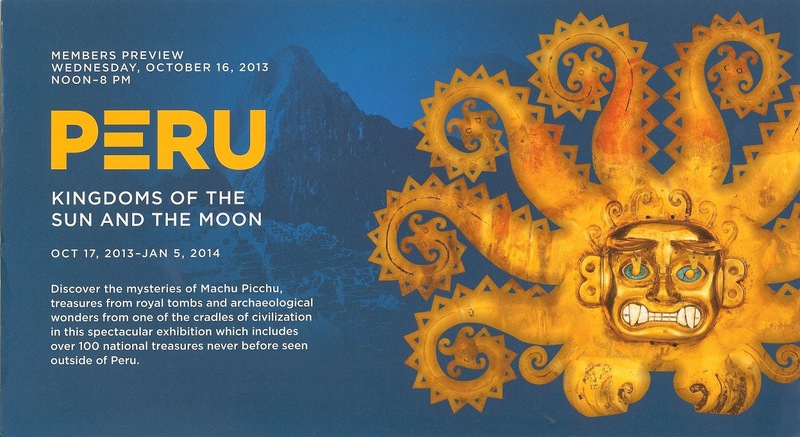 The Seattle Art Museum (SAM) exhibit, Peru: Kingdoms of the Sun and the Moon (Oct 17, 2013 – Jan 5, 2014), presents objects spanning 3,000 years of ancient Peruvian culture. We went to the exhibit just a few days before leaving for Peru on a trek to Machu Picchu. While in Peru, we visited the Inca Museum (Museo Inka) in Cusco, the Museo Convento de Santo Domingo Qorikancha in Cusco, a few key archeological sites – including Machu Picchu and Llaqtapata, and the beautiful Museo Larco in Lima. After returning from Peru and pondering what we saw, we can say that the SAM exhibition was a very good overview. Okay, there may be a touch of nostalgia here. In the SAM exhibition, the emphasis on the Inca did not dominate, because the Incas period was part of a much longer and richer history. The Spanish conquered the Incas. In the process, they simultaneously extirpated Inca beliefs and blended them, syncretically, into a palatable Christian formula for the conquered people. 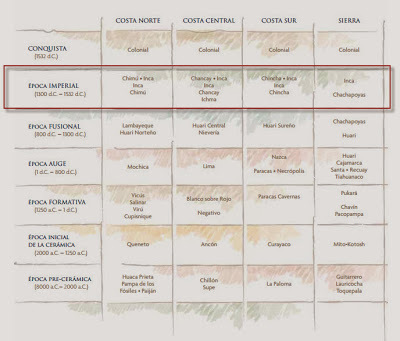 The conquest and subjugation, combined with the relative closeness in time of the Incas, 15 and 16th centuries, gave rise to the idea that the Incas were the only culture that existed in ancient Peru. This idea continues to dominate even today. 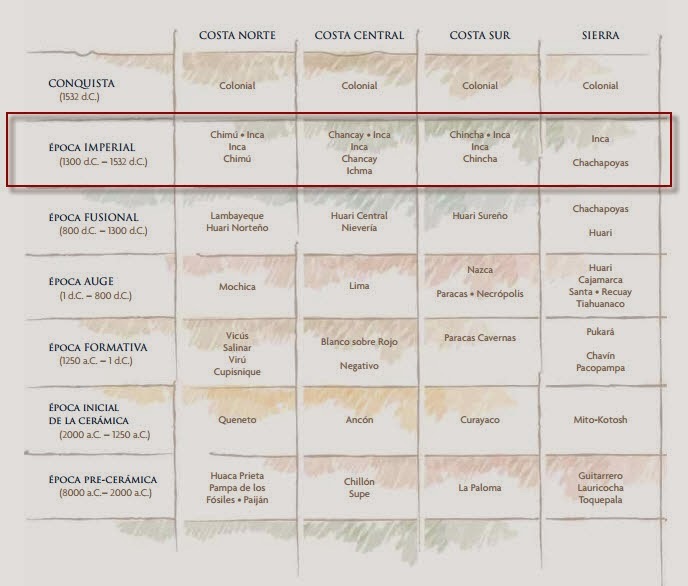 When you quiz friends about ancient Peruvian cultures, they are likely, maybe, to just come up with “Inca”. Few will mention “Moche”, “Chimu”, “Nasca”, or “Lambayeque” to name a few. Archaeology in Peru began to blossom in the early 20th century under Rafael Hoyle Larco (the Museo Larco founder). Today, it seems that archaeological investigation is very much a hot topic for at least two reasons. The first reason is that what they are finding in Peru is recasting the idea of cradles of civilization. Peru has now been added to the list of places where civilization arose independently. The second reason is that there is a lot of money at stake. Developing the sites and the recognition of Peru’s archaeological heritage means a lot of potential future money, be it tourist-related, science, or otherwise. 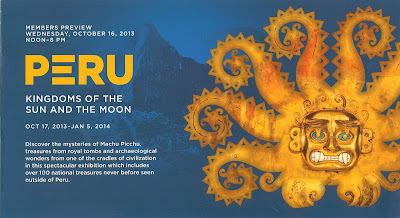 One other thing we appreciated about the SAM exhibit was the emphasis on understanding ancient Peruvian culture through the concept of opposing forces, dualities like light/dark, sun/moon, life/death, and sky/earth. This idea was reinforced time and time again while we were in Peru. 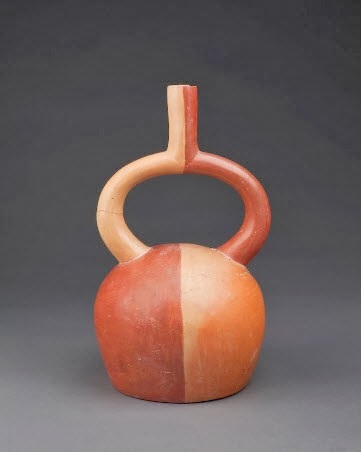 The ceramic artifacts at the Museo Larco show the concept clearly, in particular the stirrup bottles, like the Moche style ceramic ceremonial vessel (1 AD – 800 AD) shown here.